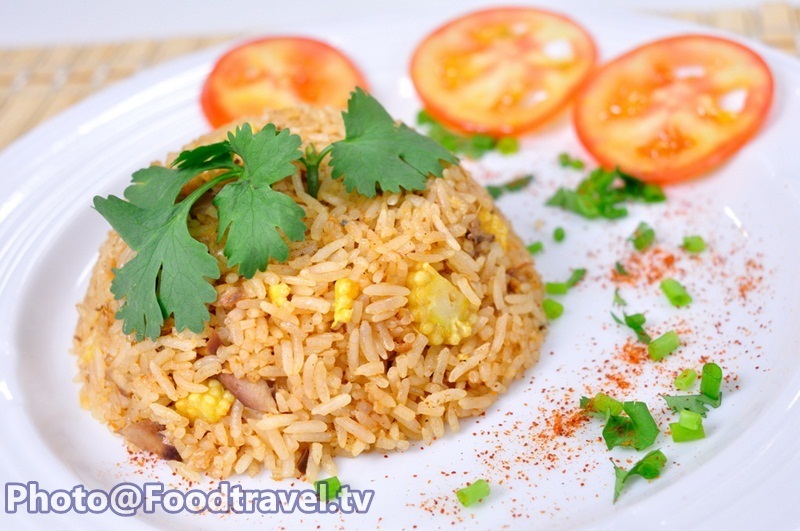 Stir Fried Canned Fish Rice (Khao Phad Pla Ga Pong) - Someone may call fried rice menu as “think less menu”. But if we know how to use mix the ingredients that remain in refrigerator. You will save more time for your rush hour with “full flavored” not think less menu anymore. 1. Fried garlic with oil, fragrance. Follow with corn and canned fish. 2. Add rice and stir to mix well. 3. Season with tomato sauce from canned fish, soy sauce, sugar, oyster sauce. Stir all ingredients together. Finally add pepper. 4. 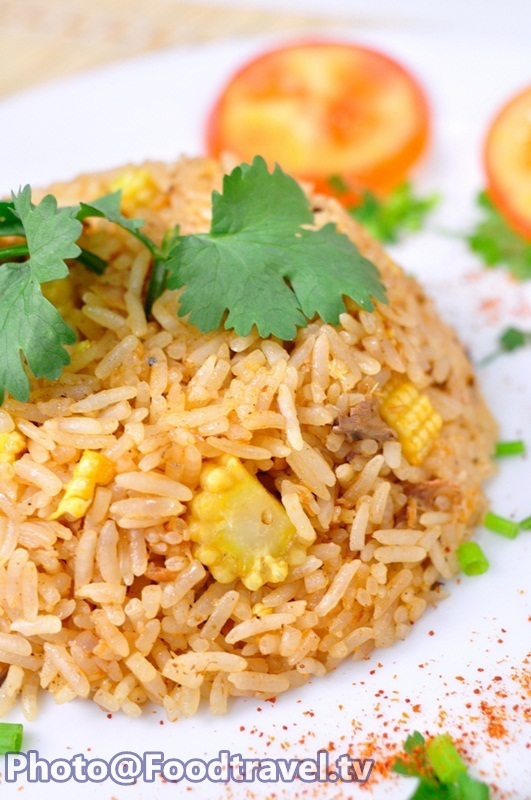 Lap up a bowl of rice, then invert onto a plate. Decorate the dish with added nutrients, tomato, onion, coriander, finished withserving. Sauces and canned fish should be separated from each other. It is not too wet when you’re frying rice.